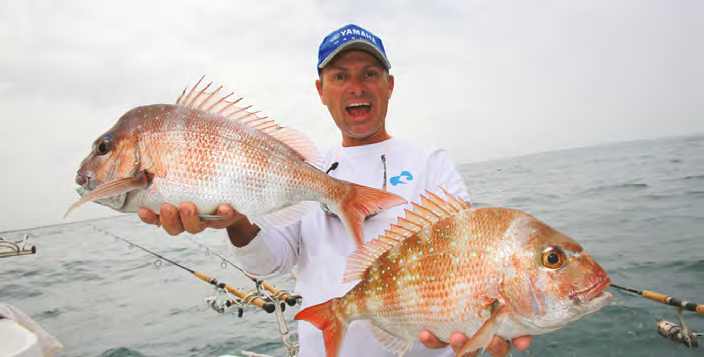 If there is one fish that everyone loves to catch it has to be snapper. They are found right around the southern half of the country in temperate and subtropical waters. Apart from great looks and reasonable table qualities the fact that snapper are largely accessible and can be caught from piers, headlands and trailer boats. You don’t have to travel to remote locations, in fact, some of the best fishing is local waters like Melbourne’s Port Phillip Bay. Ever year incredible numbers of snapper enter the bay to spawn creating red fever among the angling fraternity. I have to say it is quite a bizarre scenario hooking up big reds when you’re surrounded by suburbia. Snapper are a demersal species which means they spend a majority of their time on or near the bottom. With cosmopolitan diets they will eat just about anything from squid to garfish. The best place to find snapper is over reefs, rubble, gravel patches, bommies, ledges and even rocky headlands. The fish finder is a vital tool and will help you not only identify fish holding structure, but a decent unit will also reveal fish. They show up as distinct ‘arches’ just above the bottom and in places like Port Phillip Bay anglers actually search with the fish finder for fish as opposed to structure. 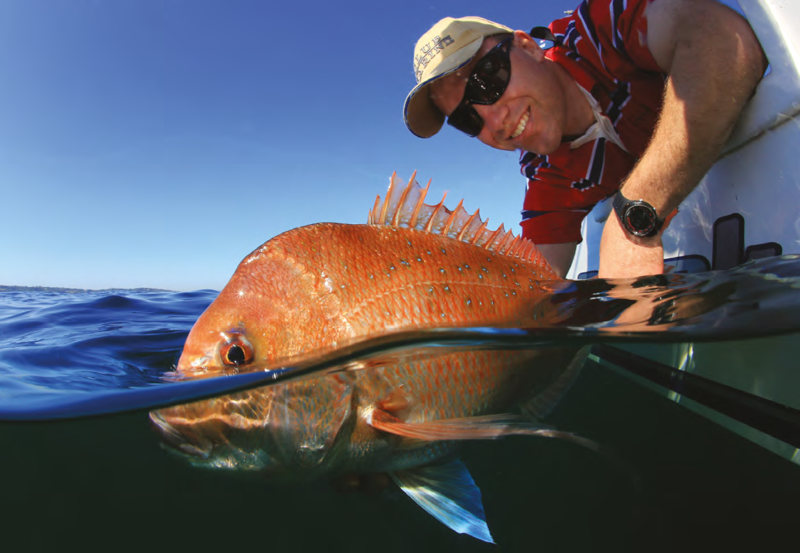 Depth is not a critical factor when it comes to catching snapper and they are just as likely to be in 3m of water off a rocky headland as they are on a gravel patch in 100m. Temperature is also not a major influence on snapper, although they do seem to be most active in water that’s warmer than 17°C. Snapper can be caught at any time, but they are certainly more active at dawn and dusk, especially in shallower waters. The change of light seems to trigger the fish into feeding, which makes an early start well worthwhile. Time of day is not the only influence that affects snapper behaviour. Tidal movement also plays a critical role in dictating their daily activities and the best fishing is often around the tide change. Being opportunistic, snapper can be caught on a wide variety of techniques from soft plastics to pilchards, but it is bait fishing that is the most common technique. The key to success is to use super fresh bait. Snapper are very fussy about what they eat and will often turn their nose up anything but the freshest bait. 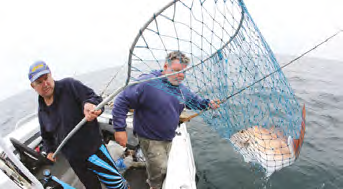 Making the effort to catch your own squid, salmon, mackerel, garfish or yakkas will dramatically increase your chances especially if you catch them on the way to or near the snapper grounds. If you can’t get your hands on live bait then the next best thing is a fresh block of WA pilchards. If you want big snapper then the best baits are fish heads, especially slimy mackerel and small salmon. The advantage of using the head section is that it is tough and will usually be ignored by nuisance fish such like flathead and wrasse. The rigs used to catch snapper vary greatly between different areas. In places such as Port Phillip Bay anglers run about 50cm of 15kg trace line with two 4/0 hooks. This is joined to the main line with a small barrel swivel and the whole rig is weighed down with a small bean sinker that runs along the leader. While this technique is suited to boats anchored up where there is no current if you prefer to drift in deeper water and more current, a basic paternoster rig is the best option. Snapper have extremely hard mouths so fine gauge chemically sharpened hooks are the best option. When rigging the bait don’t hide the hook point, instead prepare it so the point is fully exposed. Always take the time to rig bait properly so that it will appear natural – wary snapper will quickly reject a twisted or bent bait. To take advantage of the snapper’s schooling nature, anglers will often use multiple rods to increase their chances of getting multiple fish. In deep water, or areas that have a lot of current, using more than one rod can create too many problems. Berley is a major advantage for snapper fishing. Crushed up shellfish or chopped up bits of fish will quickly attract and hold snapper. Keep the trail fine and don’t feed them too much. Casting lightly weighted baits into the trail can be absolutely deadly at times. In deep water, a berley bomb or similar device should be used to get the berley to the bottom where the fish and your baits are. Soft plastic fishing has exploded in recent years and has evolved into a whole new style of snapper fishing. Basically, the technique entails drifting over known snapper grounds casting weighted soft plastics around. Restricted to water shallower than 25 metres this technique is proving effective on bigger fish and suddenly fish to more than 10kg are being landed with amazing regularity. What makes this style of fishing all the more exciting is that you need to employ light rods, which really makes it sporting. Catching a big snapper on a rod designed for catching big bream is a real adrenalin rush. The fact that you are actively hunting the fish and casting to likely spots only adds further to the appeal. Snapper have great table qualities, especially baked whole in the oven. Fish from one to three kilos are best eating while large snapper above 5kg are dry and better off released as they are breeding stock.